Mary Frances Page, called Aunt Frances and Miss Mary by many in the West End, spoke Friday night from a hospital-style bed with its covers pulled up to her chin. 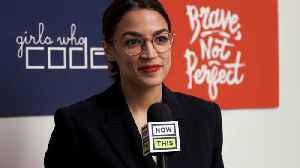 She is 99 years old and largely dependent on aides to care for her — a fact about which she feels guilty. When she’s forced to leave her home of 15 years at the end of the month, she won’t be able to help pack. I'll move somekind of way."way. 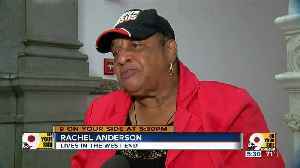 "NOW AT 11 - AFTER A LONGSEARCH... TIME IS RUNNING OUT!THIS 99-YEAR-OLD WOMAN ISBEING FORCED TO MOVE OUT OFHER WEST END HOME.THE REASON?CONSTRUCTION SURROUNDING F-CCINCINNATI'S NEW STADIUM.GOOD EVENING I'M CRAIG MCKEE.TANYA O'ROURKE HAS THE NIGHT OFFOFF.9 ON YOUR SIDE'S KRISTENSWILLEY JOINS US LIVE WITHWHAT COMES NEXT FOR THE99-YEAR-OLD WOMAN.THE BUILDING BEHIND ME SOLDEARLIER THIS YEAR AND THEWOMAN YOU'RE ABOUT TO MEET HASTO BE OUT BY THE END OF THEMONTH. NOW HER NEICES AREFRANTICALLY WORKING TO FINDHER A NEW HOME. "I don't want to move, but Igot to move."move. "AT 99 YEARS OLD, MARY FRANCESPAGE IS STARTING OVER. "I felt really bad because Ican't walk and I have to getsomebody to try to get me outof here and everything."everything. 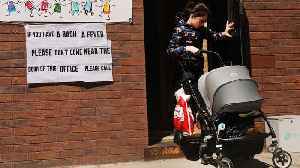 "AFTER LIVING IN THE WEST ENDFOR DECADES, SHE GOT THESELETTERS IN FEBRUARY STATINGSHE HAS TO BE OUT BY THE ENDOF THIS MONTH. "It's not right. Nobody should bedone this way."way. 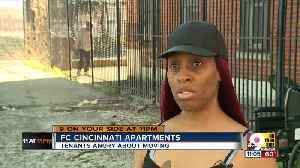 "KIM DILLARD, PAGE'S NIECE,BEEN SEARCHING FOR A NEWAPARTMENT SINCE SHE FIRST GOTTHE NEWS. HER AUNT NEEDS TO BEON THE FIRST FLOOR BECAUSE OFHER HEALTH. "As far as taking an apartmentwhere it's got like 10 stepsfor her to go up, that'schallenging. 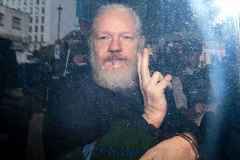 Getting hertransported, that would be challchallenging. "IT'S A CHALLENGE SHE'SRUNNING OUT OF TIME TO MEET. "I think in terms of theactual stadium project, thisis probably the big, majorresidential displacement."displacement. "KEITH BLAKE IS PRESIDENT OFTHE WEST END COMMUNITYCOUNCIL. 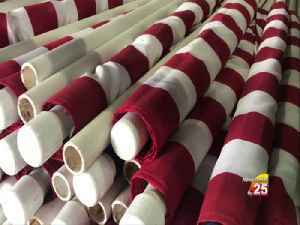 So, I called aroundand my understanding was theproperty owner's been workingwith the tenants and theunderstanding is everybody hassome place to go."go. "BUT FOR PAGE AND HER FAMILY,THE SEARCH FOR A HOME HERE INTHE WEST END CONTINUES. "People are nice. They comevisit you and everything. Kim Dillard:"It's like a family? Yeah."MS. PAGE HAS TO BE OUT BYAPRIL 30TH. THAT'S 70 DAYSAFTER SHE WAS INITIALLY TOLDTHE BUILDING WAS SOLD. OHIOLAW ONLY REQUIRES 30 DAYSNOTICE. WE'LL LET YOU KNOW IFSHE'S ABLE TO FIND A NEWPLACE. 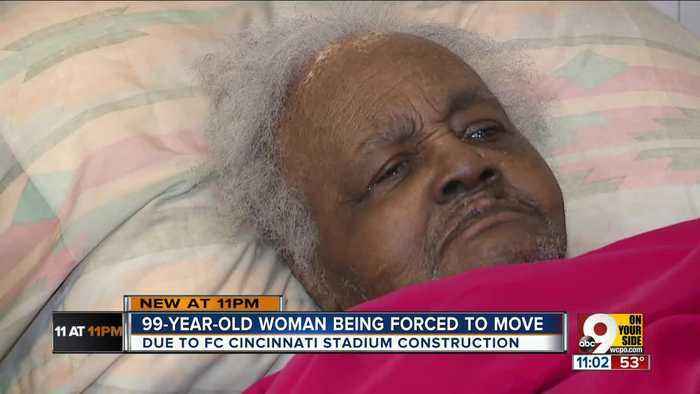 The case of Mary Frances Page, a 99-year-old West End woman whose apartment building was purchased by FC Cincinnati, appeared to reach a partial resolution when team spokesman Mark Mallory promised she.. Debates were had. Promises were made. A community benefits agreement was signed. 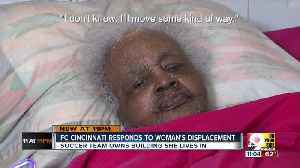 Still, some West End residents — among them a 99-year-old woman — are facing the prospect of being removed from..
FC Cincinnati officials said they plan to slam the brakes on removing tenants from a Wade Street apartment building after learning their purchase of it threatened to displace a 99-year-old woman who..
A man accused of killing a woman in Boynton Beach had a past record of domestic violence. 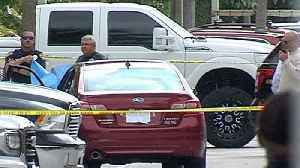 Boynton Beach Police say 56-year-old Jeffery Garner killed the woman Wednesday morning inside the Manatee Bay..